Many of you have been asking for an update on the reimagining of Test Track – Presented by Chevrolet at Epcot, and I’m happy to say that we finally have some news to share: The attraction will officially reopen to guests on December 6. When Test Track reopens, this reengineered attraction will allow guests to experience the fun world of automotive design firsthand. 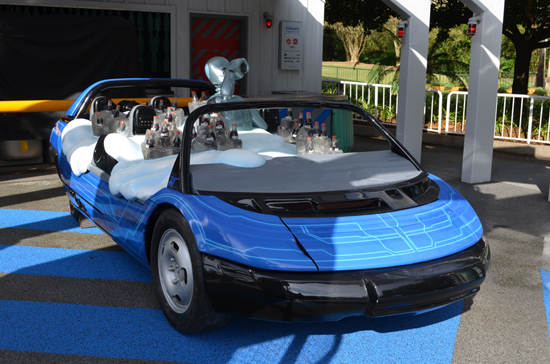 Guests will first enter a Design Studio and make a series of selections (as an individual or a group) to create their ideal virtual custom concept vehicle. They then board a six-passenger SimCar for a test drive to see how their own design compares to the attraction’s SimCar in Capability, Efficiency, Responsiveness and Power. And it sounds like the post-show will be just as much fun. Here, guests can see how well their car performed, and race it over changing terrains and extreme conditions on a digital driving table. Guests can also produce and star in a TV commercial for their custom cars, explore a Chevrolet showroom that will feature the latest models, and more.